A boat in a waterless river is quite off-season. It wasn’t the only boat there but it seemed kind of interesting the way it was lined up to the river and the rest of the landscape. Everything seems brown and bleak, but brown is shaping to be a colour I understand… if a colour can ever be understood. At least in ‘light’ terms it is something which attracts my eye. Also, the picture was taken last week, which makes it a bleak June landscape – another off-season thing about it. I did a little editing – just a touch on the colours and a subtle filter. 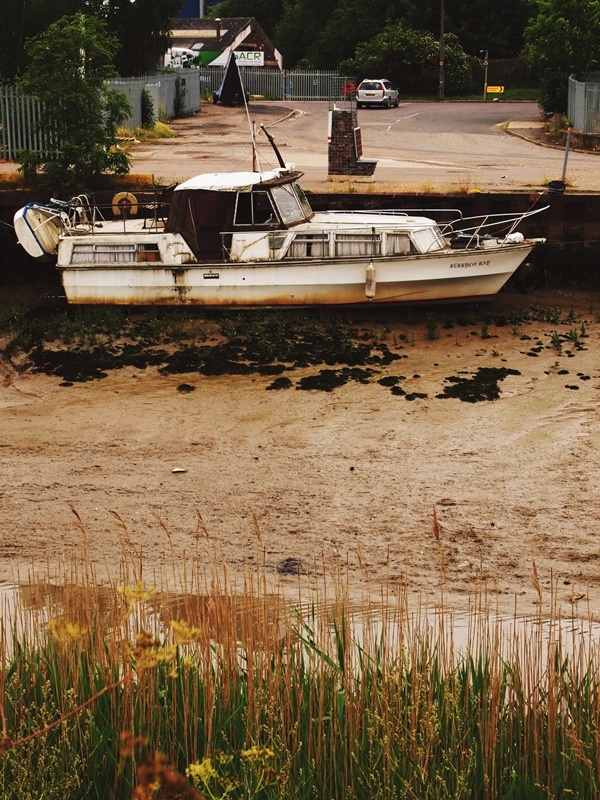 Posted in digitally enhanced photography, landscape photography, photographyTagged bleak, boat, brown, dark, England, june, landscape, photography, river, summer, United Kingdom, water, weekly photo challengeBookmark the permalink. © V. Ilarionova and Some Art, Some Dreams, 2017. Unauthorized use and/or duplication of this material without express and written permission from this blog’s author is strictly prohibited. Images, excerpts, and links may be used, provided that full and clear credit is given to V. Ilarionova and Some Art, Some Dreams with appropriate and specific direction to the original content.